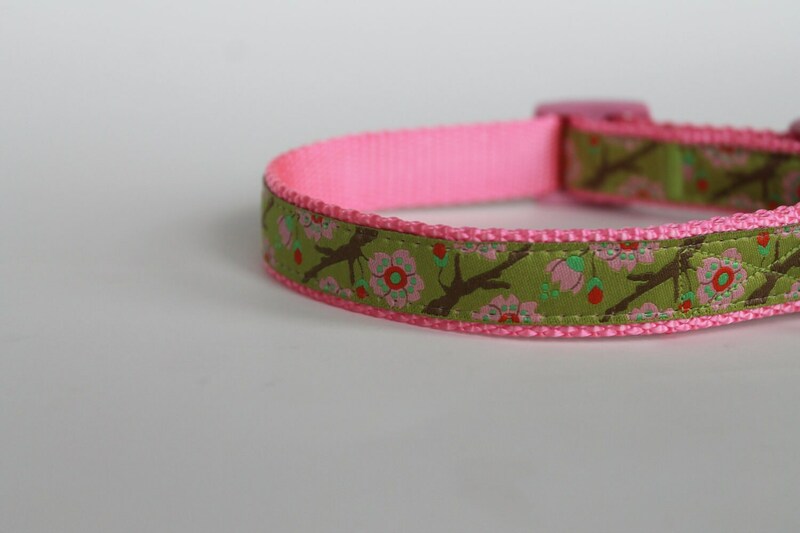 Gorgeous Cherry Blossoms on a background of Lime Green Dog Collar. Such lovely ribbon from Europe. It has pink blossoms with a green background. 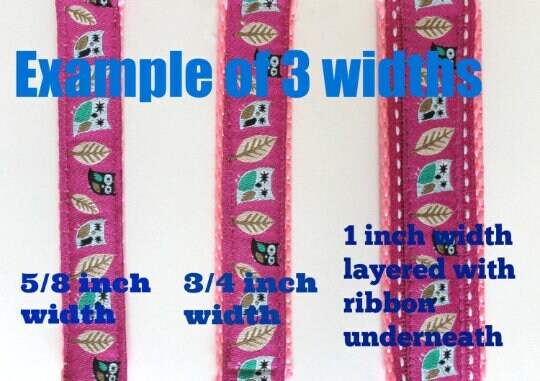 It is placed on pink heavyweight webbing. 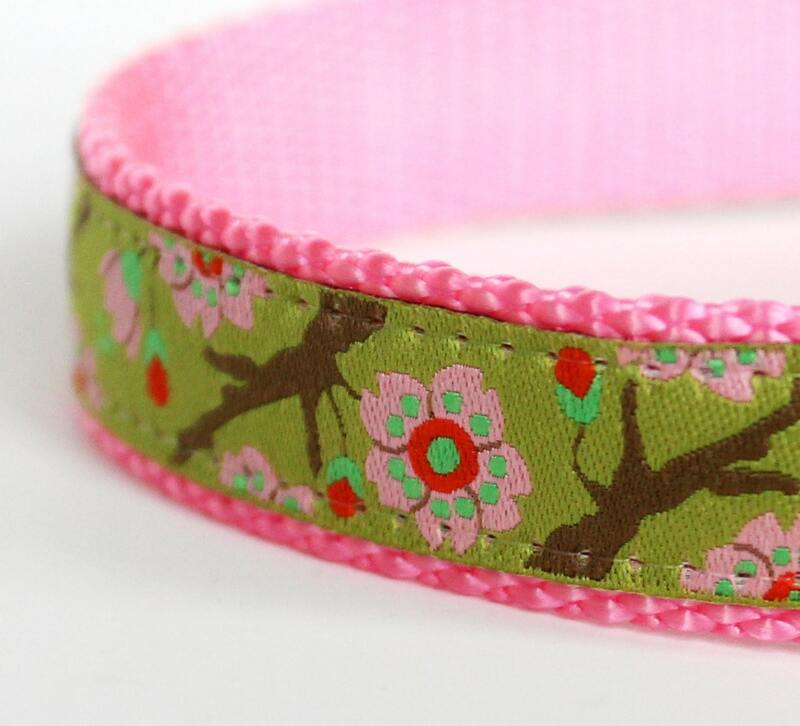 Collar pictured is a 3/4" small. 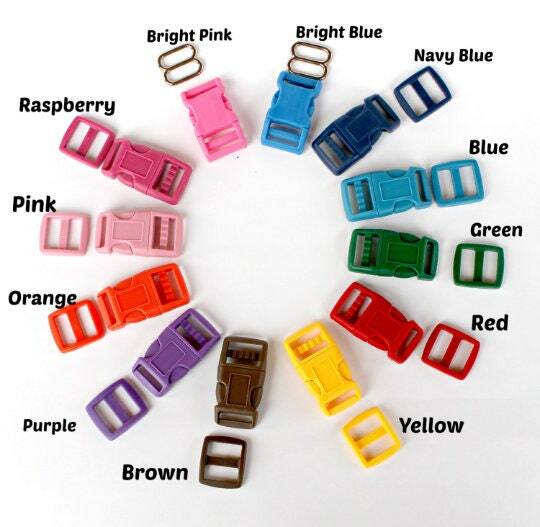 *Colors may vary per you computer monitor. *High Quality Hardware. Please see my Policies to see how I make my collars. So adorable and durable! Great customer service too! 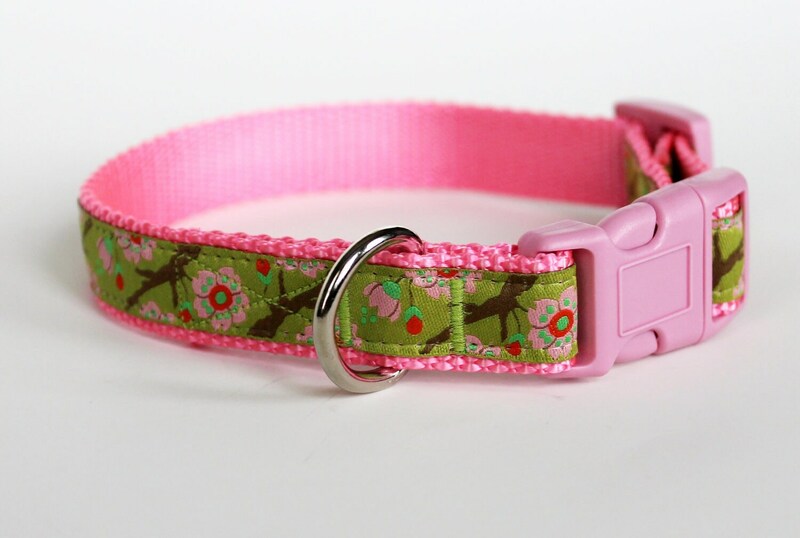 Great quality and lovely collar! Thank you! I love the collar! It fits and looks great! Very well made.